Obituary for Gloria B. Navarro | Kaczorowski Funeral Home, P.A. 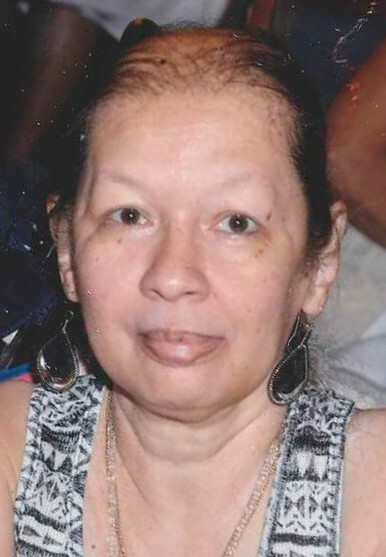 On Sunday, March 17, 2019, Gloria B. Navarro, beloved companion of Jerry for 35 years, loving daughter of Luz M. Navarro and the late Valentino Bahamundi, sister of Alberto Navarro & his wife Brenda, Betty Navarro, Humberto Navarro & his wife Keri, aunt of David, Maria, Diana, Alberto, Jr., Stephanie, Jose, Tomas, Humberto, Jr., Carlos, Makenzie, David Jr., Josh, and many great nieces and great nephews. Gloria was also survived by many other loving family and friends. Visitation at Kaczorowski Funeral Home, P.A., on Thursday from 5-7 P.M. Interment Private.